A Chalkboard. Chalkboards are often depicted as black, but my middle school had green and brown boards – am I the only one? Mossy Meadow perfectly captures the shade of the green chalkboards we had in my school, and the big rectangle (I paid attention in geometry!) from the Swirly Frames stamp set is perfect for the frame of a chalkboard. I stamped this photopolymer stamp and the stack of books from Bike Ride in Whisper White Craft ink and covered them with White Stampin’ Emboss Powder. I heated them with my heat tool for a crisp, clean look. I snipped around the edges of the “chalkboard” with paper snips – I really wanted to use my Stampin’ Trimmer, but the edges aren’t perfectly straight, so snipping was easier. No worries – your eyes are so lost in the white lines that you don’t even pay attention to the uneven edges. Hey! Stop paying attention to the uneven edges – keep looking at the white lines. Well, going back to school after the Summer Break is great, my grandchildren couldn’t wait till school was over but after a couple of weeks, they were already eager to go back. I just love, love your fabulous card Brian, the embossed frame looks crisp and PERFECTLY fussy cut, I don’t see any uneven lines at all, the little stack of books…..totally adorable. As always, your layers are impeccable and the color combination is a winner. Brian, this is such a clever card! I love the way your mind thinks! This is so unique! And now I have to relook at the stamp set! I really like how you used the layers but especially the frame. I’ve been considering them for a while. And yes. My chalk boards were green too. Yay! I’m glad you like it, Lynn! It’s a cool set – glad to finally break it in. Let’s hear it for green chalkboards. I really like that “subtle” background Brian! As a retired middle school teacher (30 yrs. of middle schoolers), each year certainly was a new adventure – Lol! I started my career with black slate boards, then green boards and ended with white boards – no clay tablets😅 I love your card and again, the way you combine sentiments and images is so fun and CLEVER! Thanks for all you do! I like this non-tradional back-to-school card, and the color combination you used. The green is great, and the frame in white highlights the books. Such a great card. I love all the details in what looks like a simple card. Great card Brian. I love the books, they’re the perfect accent for a back to school card.BTW, at the schools were I worked the boards went from black chalk boards to white boards. You caught me Brian! Yes, I was looking at the uneven lines but then you got me right back on track by telling me to stop looking at them. I swear I could hear your voice in my mind! We also had green boards but our teachers used yellow chalk instead of white. Go figure. Fabulous card today, as always, Brian. Love the way everything is so balanced. Fun card today. It prompted me to make one for my Neice. Great color combinations as usual. Love the Swirly Frames too! Am considering a purchase! Thanks as always for the inspiration! Brilliant once again. You’ve combined the different stamp sets perfectly. And the chalkboard idea is genius. You da King! That little stack of books is the perfect “anchor” for the card. So very clever to make a chalkboard! Perfect fall/back to school card. Fabulous hop today! Leave it to you to put a positive spin on back to school! Love all of your gorgeous layers; can’t wait to try out my new subtles folder! You are going to LOVE the folder – I’m finding more and more ways to incorporate it into my projects. It’s BRILLIANT! <3 Thanks, Sheryl! 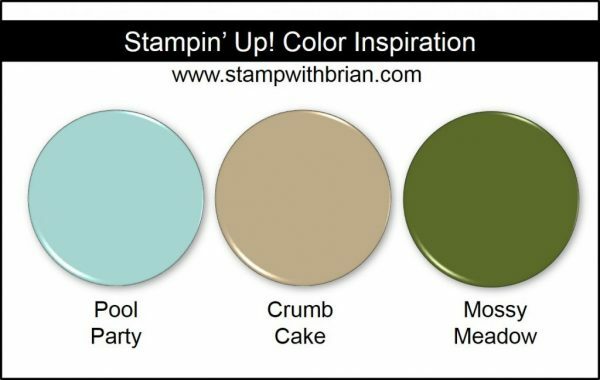 Brian, I love your clean and simple approach to stamping. I love this card. I used to have green chalkboards also when going to school. This card brought back many fond memories of elementary school. Very cool how you made a chalkboard! Funny – I was certain the librarian in you would love the books. <3 Thanks, Linda! Your chalkboard is perfect. Now everything is white boards or computer screens…no chalk! Oh and how have I completely missed Bike Ride? Adorbs! Thanks, Dianne! We breathed in a lot of chalk dust during our school years, huh? 🙂 I appreciate your comments. I love your perfect layers, and you always find just the right sentiment.